In this well-known portrait of the Empress, the painter Pierre Paul Prud’hon has shown Josephine relaxing in the magnificent gardens of her home, Malmaison. The life of Josephine, first Empress of the French, was certainly full of ups and downs. She was born in Martinique and had already had two children and been widowed before becoming the wife of General Bonaparte. On 23 June 1763, Marie-Joseph Rose de Tascher de la Pagerie was born on the Tros-Îlets plantation in Martinique. At the time, she was called Rose, and she was the eldest daughter of a noble French family. When she was 10 years old, she was sent to the Dames-de-la-providence convent in Fort-de-France, where she received an education that made her a suitable match for the son of a rich family. Indeed, such an alliance would have put an end to her family’s financial problems. When she was 16 she went to France with her father so that she could marry Alexandre de Beauharnais, also born in Martinique and 19 years old at the time of their marriage. The ceremony took place in Noisy-le-Grand outside Paris on 13 December 1779. The couple settled down in the suburbs of Paris and had two children: Eugène, born on 3 September 1781; and Hortense, born on 10 April 1783. However, the relationship between Alexandre and Rose did not run smoothly. They separated on 5 March 1785 but did not divorce. Rose was granted custody over Hortense, whilst Alexandre took care of Eugène. Rose met with financial hardship and had to sell some of her jewellery to pay living expenses. Financial pressure became so acute that she and her daughter had to return to Martinique, where they stayed for two years. In 1789, the French Revolution broke out in Paris. This turbulence quickly spread to Martinique, in 1790, and at this point Rose decided to return to Paris with her daughter. In the November of that year she met up with her husband again. He was in the midst of a dazzling political career, which led to him becoming president of the constituent assembly (the French government) in 1791. Rose approached him in order to benefit from his influence and to cultivate some political connections. However, the political situation during the reign of Terror was unstable. Foreign coalitions attacked Revolutionary France. Alexandre was put in charge of defending the town of Mainz (then part of France and called Mayence) in the face of Prussians and Austrians. However, he could not stop the capitulation of the city. After resigning due to the failure of this operation, he was arrested and imprisoned in Paris in January 1794, along with Rose, for political plotting. Alexander de Beauharnais was executed on 23 July 1794, but Rose managed to escape the guillotine due to the fall of Robespierre on 28 July, one week later. Napoleon and Josephine were both strong characters, and this rendered their relationship, even in the early days, quite stormy. 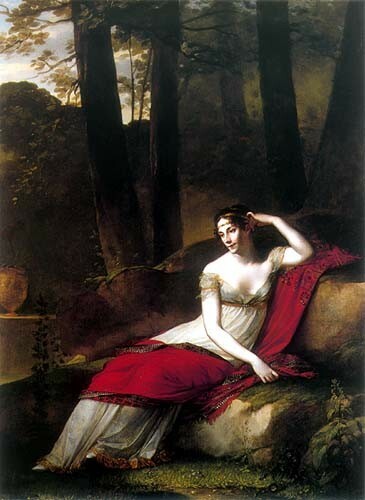 Napoleon was absent for long periods of time during his military campaigns, and Josephine was hesitant to join him as she preferred the social scene in Paris. However, she did profit from the military successes of her husband the general, as for example when she came to Milan in July 1797. Josephine met up with Napoleon again at Toulon in May 1798, and saw him leave to lead the campaign in Egypt. It would be many long months before she would see him again. The long distances made their relationship difficult and led to infidelities on both sides; divorce seemed certainly on the cards. Josephine was also a great spendthrift, and her financial excesses nearly brought an end to her marriage. When Josephine finally went to join Napoleon in Paris, having missed his return from the campaign in Egypt, he refused to see her. Josephine was well aware that her marriage was in trouble and tried to reconcile the relationship at all costs. The marriage held firm despite the arguments because Josephine was good at calming her husband and giving lustre to their public image. However, Josephine was not to everyone’s liking, especially those close to Napoleon. It was a whole year after her marriage before Josephine met Napoleon’s mother and sister in 1797 in Italy. Letizia, Napoleon’s mother, did not hold in high regard this woman who was older than her son. Rivalry arose between the Bonapartes and the Beauharnais. Despite Napoleon’s attempts at strengthening family ties through the adoption of his stepson Eugène, and through his step-daughter Hortense’s marriage with his brother Louis Bonaparte, it was all to no avail. The Bonapartes openly told Napoleon to leave Josephine because she had not produced an heir, and Josephine, faced with the threat of divorce, had to use all the allies that she could find to try to prevent that from happening. Shortly before Napoleon’s coronation and consecration in December 1804, Pope Pius VII found out that the couple had only been married in a civil, not religious, ceremony. Faced with Pius’ threat not to perform the coronation, Napoleon agreed to a religious ceremony to render their marriage official, which took place on 1 December. This was a relief for Josephine, as a divorce would now be more difficult to carry out. Napoleon defended and protected Josephine from the pressure coming from his family by making his sisters carry her train in 1804 during the coronation and consecration ceremony, and insisting upon being the one to crown his wife Empress. But once the Empire had been established, Napoleon himself also put pressure on Josephine to deliver an heir. In response to this, the Empress went to Plombières and Aix-les-Bains to try and obtain a cure for her infertility, but to no avail. On 30 November 1809 Napoleon told Josephine that he wanted to separate from her. Although she was upset, she agreed to the annulment of their marriage, and on 15 December an official family council was brought together to confirm its dissolution. 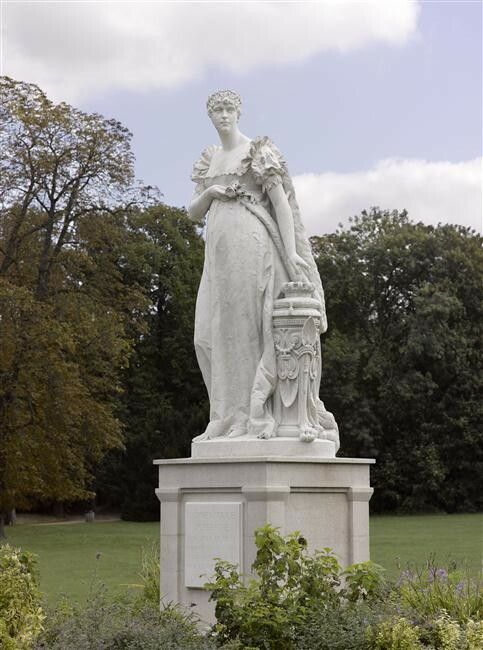 Napoleon promised in a declaration that he would not forget the Empress and would safeguard her future. He said, ‘she has been crowned with my hand; I want her to keep the rank and title of Empress, but I definitely do not want her to doubt my feelings and want her always to consider me as her best and dearest friend.’ Josephine continued to look after the property of Malmaison, where she settled down for good. 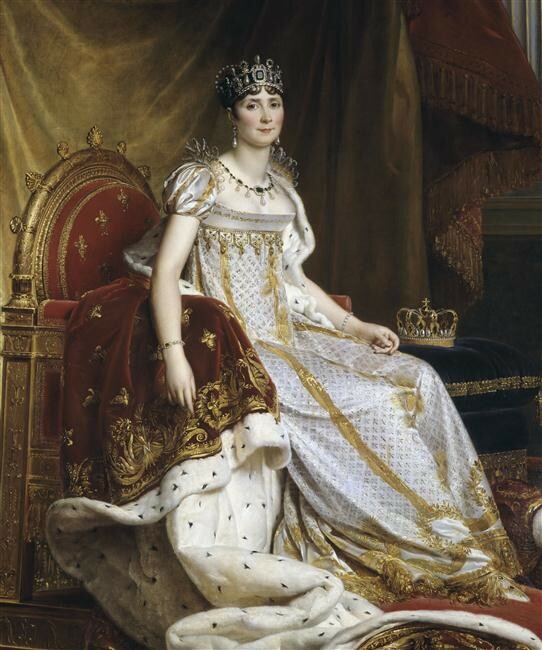 In May 1810 Napoleon remarried, this time to the Archduchess of Austria, Marie-Louise, but he carried on writing to Josephine and continued to show concern for her health. This provoked jealousy from his wife to the extent that Napoleon presented his son, known as the little king of Rome, to Josephine in secret. When she had been dispensed of her official duties, Josephine devoted herself to her passions at Malmaison. She pursued work and embellishments on the house and its gardens, and expanded her art collection, which consisted of more than two hundred canvases, taking pleasure in presenting them to her guests, both to those who planned to visit her in advance and those who came on the spur of the moment. The Emperor sometimes came unannounced to Malmaison, like he did on 30 April 1812 before he left for his campaign in Russia. However, France’s future was soon in jeopardy. After the failure of Napoleon’s campaign, the great European powers turned against him. In 1814 France was invaded, and on 30 March Paris surrendered, before being occupied by the troops of Tsar Alexander I for a year. Josephine kept up to date with these events whilst she was staying at Malmaison, then when she moved to the stately home of Navarre, near Evreux in Normandy. In the spring of 1814 the Empire fell and the Emperor was exiled to Elba – the Empress did not see him at all before he left. In April 1814 Josephine returned to Malmaison. Louis XVIII, the new King of France, maintained good relations with the Beauharnais family, who in turn had the support of the Russian Tsar Alexander I, an alliance that promised to ensure peaceful ties between France and Russia. The former Empress of the French and the Russian Tsar developed a close friendship based upon a shared appreciation of art and the Russian monarch’s respect for her two children, Eugène and Hortense. A month after Josephine’s return to Malmaison she died in the stately home from deadly pneumonia, aged 51, on 29 May 1814. Four days later her funeral took place at the church of Saint-Pierre-et-Saint-Paul in Reuil. Today, it is still possible to see the recumbent statue of her that stands aloft her tomb.